Once a month, we highlight stories, videos, podcasts, and other quality finds from around the web and beyond. In the second installment of our monthly top picks series, we check out a conversation-driven podcast chock-full of prominent storytellers, a new perspective on writing in the passive voice, a tribute to Prince, summer festivals, and a quality scene from Freaks and Geeks that reminds us why that show is just so good. I’ve always been a Freaks and Geeks fan, and The New York Times‘ play-by-play of one particular scene made me remember why. The show is simultaneously hilarious and heartbreaking, which makes sense because it beautifully captures a time—adolescence—that for most people is just that (well, adolescence is hilarious years later). This scene demonstrates what the show did best: it gives the viewer a deep and meaningful sense of empathy for the characters, who are essentially high school misfits, always on the outskirts. Bill, the star of this scene, is framed as the geekiest of them all, with a handful of other issues and storylines (including a deadly peanut allergy) that create a deep sadness pulling at the corners of his life. But in this solitary moment, we witness him experience pure joy and a true connection to a comedian performing stand-up on television. It’s such great moment in the show, and so well done. Even better—Bill is played by actor Martin Starr, who I’m a huge fan of, and the comedian he watches is the late Garry Shandling, who starred in one of my all-time favorites, The Larry Sanders Show. Sponsored by The Writing Program and The University of Pittsburgh, Longform is the perfect podcast for people who love listening to nonfiction writers (and sometimes media folk) talk about writing, career mishaps, and what it means to create a truly engaging story. You’re really listening to a conversation with some of the great storytellers of our time. The podcast dates back to 2012, so it’s easy to get sucked into the collection of awesome interviews, only to realize five hours later you haven’t moved from the couch. Notable interviewees include Ta-Nehisi Coates, Ira Glass, Leslie Jamison, Alex Kotlowitz, David Remnick, and Anna Sale. Fellow grammar nerds, take note: there is indeed a time and a place for passive voice. This article by The Economist‘s experts made me think harder about the difference between weak and vigorous writing—and how to achieve clarity. Designers and Pantone colors go hand in hand and I love that Prince got his own purple! So, this tribute from the Pantone Color Institute makes sense. 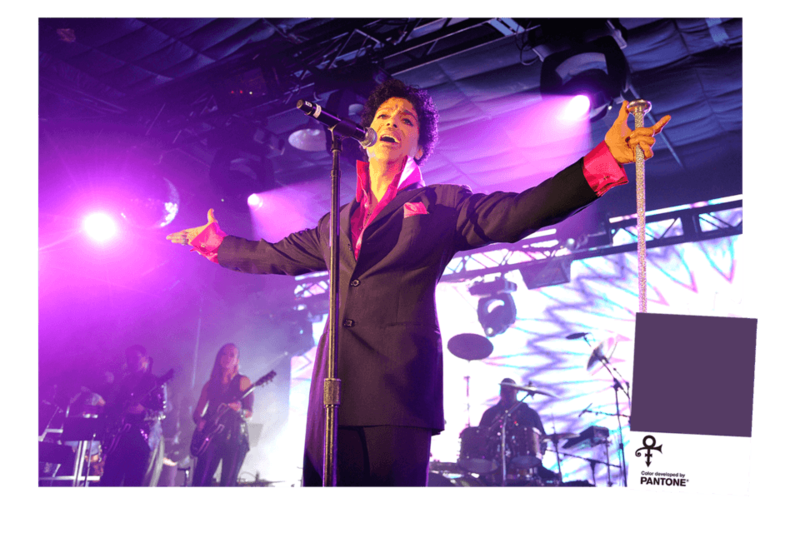 Pantone, the leading authority on color and color systems, joined forces with the Prince Estate to honor the late pop star with his own custom purple shade—Love Symbol #2. Named for the unpronounceable symbol Prince went by during much of the 1990s, Love Symbol #2 is based on the color of Prince’s purple Yamaha piano. “Summer’s lease hath all too short a date.”—William Shakespeare, Sonnet 18. Chicagoans know all too well that our days of frolicking in open-toed slides are numbered. We’ll be wearing boots and dodging piles of snirt in no time. Thank you for reading. Be sure to check back in September for our next compilation, and please share your picks—artful, chin-scratching, doggone funny, etc.—in the comments.